SYMPHOS organizing committee invite all interested to submit a paper for the fifthcoming 2019 edition. 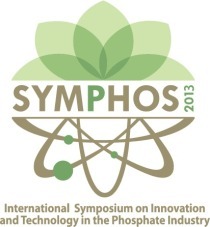 After four successuful editions, SYMPHOS is being the world’s largest symposium on innovation and technology in the phosphates industry, it's offert opportunities to facilitate discussion and knowledge exchange of innovation ideas, research findings and current, future challenges and opportunities related with all facets and aspects of minning, beneficiation, agriculture, fertilizers, biofertilizers, environment renewable and sustainable energy, phosphoric and sulfuric acids. The target public of SYMPHOS includes all interested people from industry, academia and government, particularly, researchers, consultants, policy-makers, engineers, and other specialists interested in all issues related to the phosphates industry. On the SYMPHOS website (www.symphos.com), the Innovation Award and the rules for participation in this event will be announced. A jury of experts will be set up by the Symphos organizing committee.